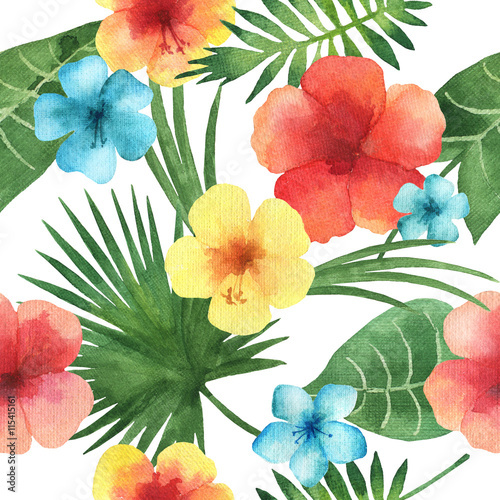 The air feels hot and humid, you can smell colourful flowers and ripe, sweet fruit while hearing the sound of burbling water in a distance. 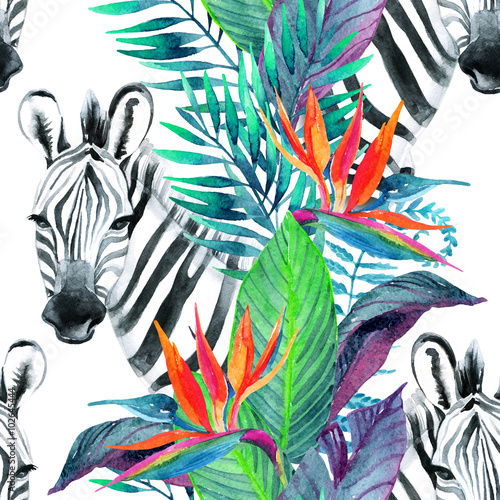 It must be an exotic jungle! 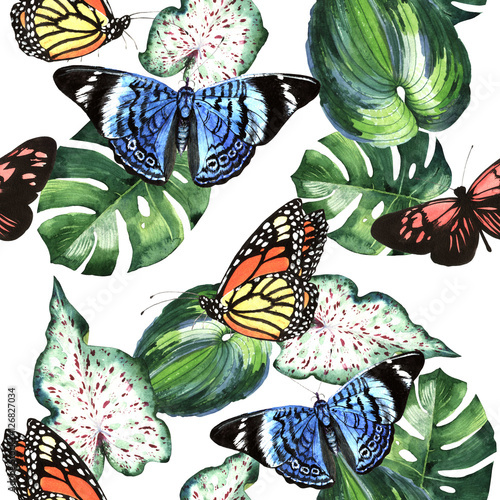 White sand, coconut palms, green monstera leaves and multicoloured butterflies create an atmosphere of paradise. 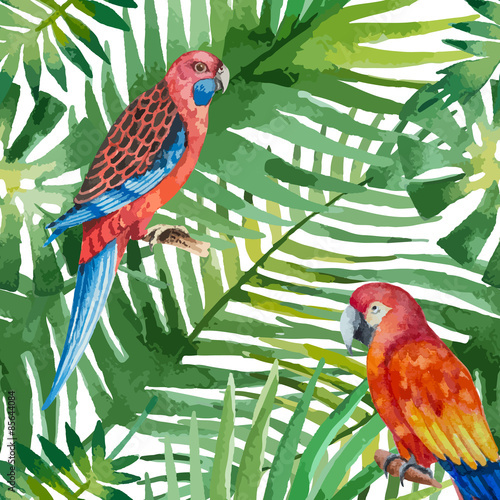 You can chase a colourful toucan, taste a juicy pineapple or marvel at stunningly beautiful parrots and flamingoes. 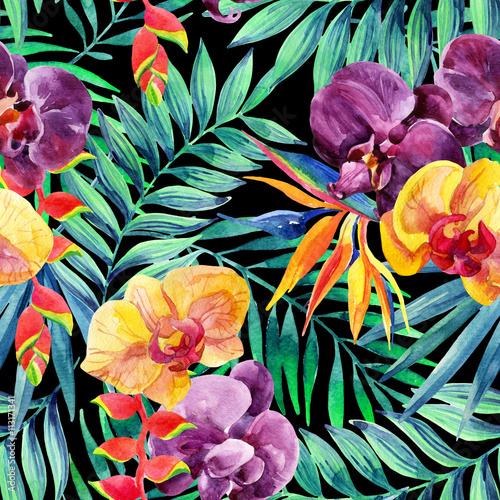 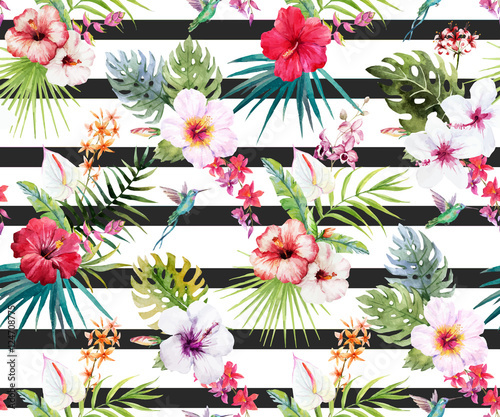 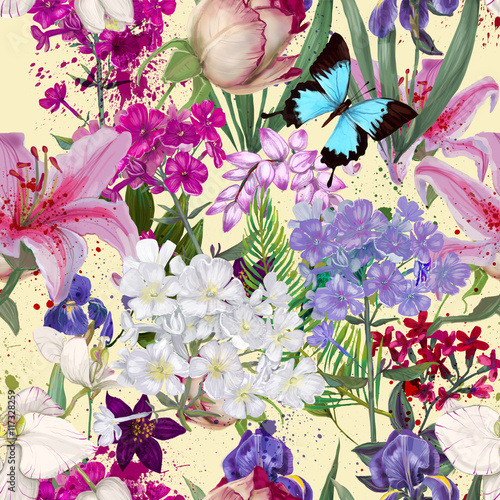 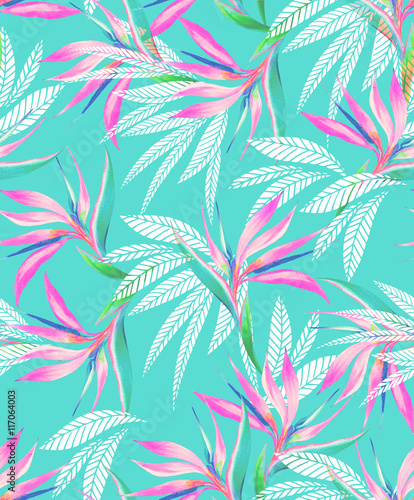 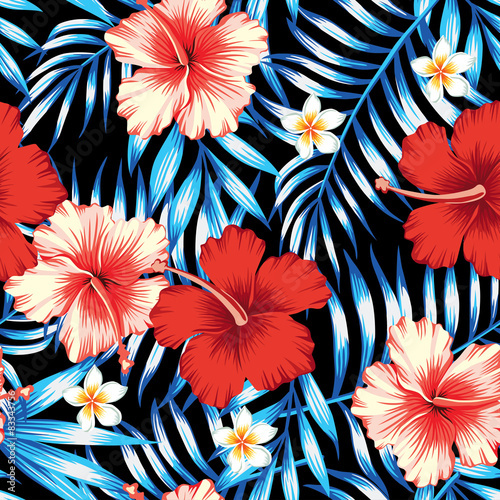 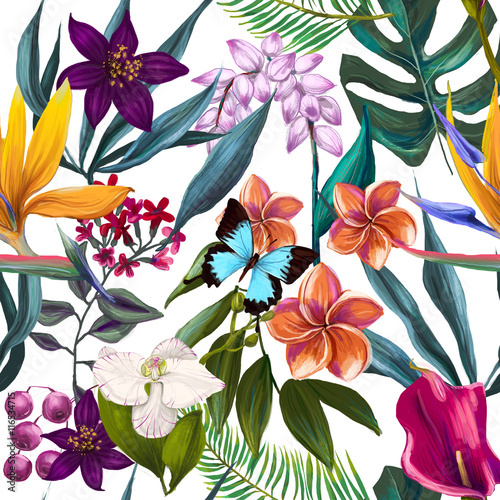 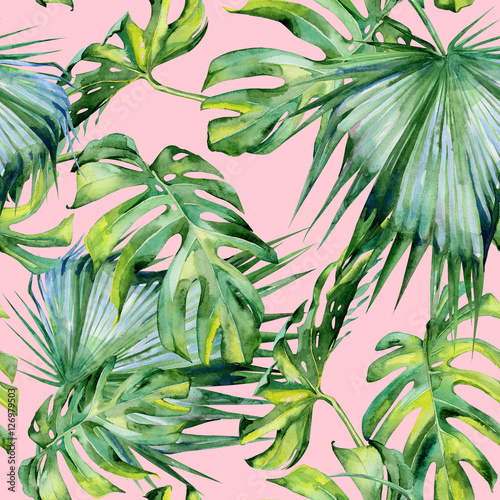 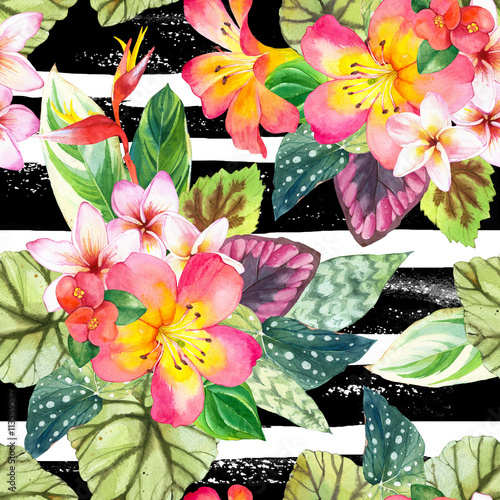 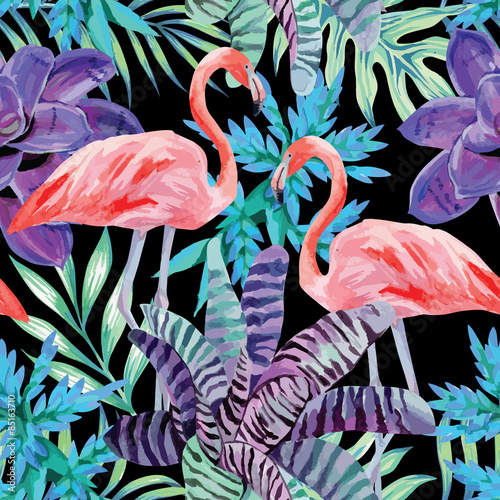 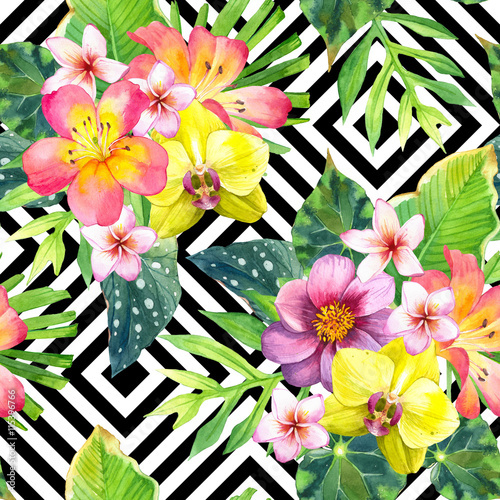 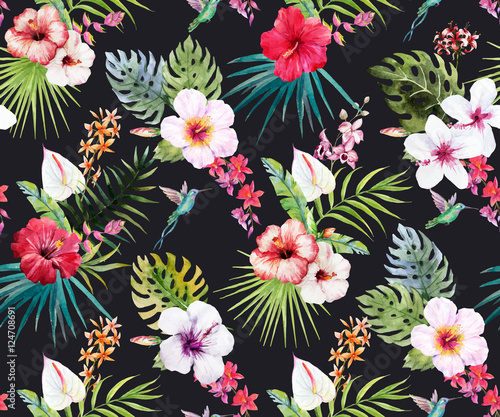 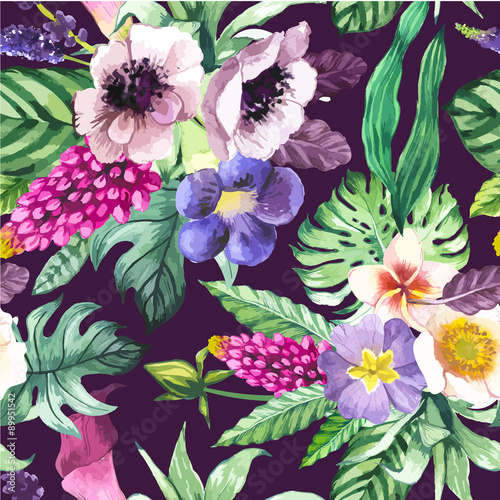 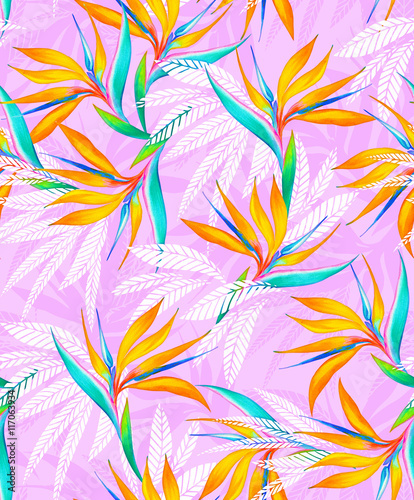 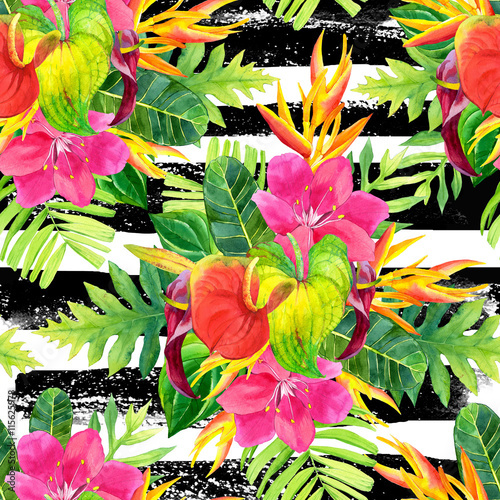 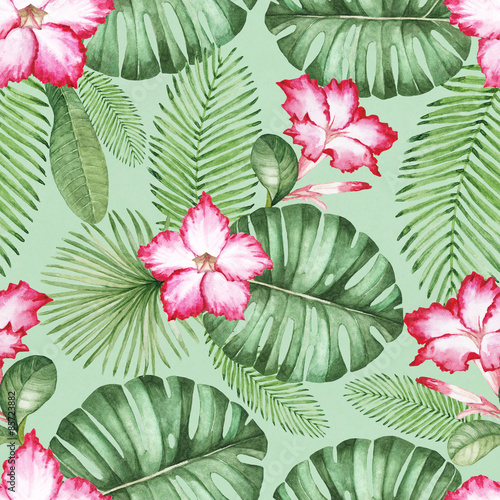 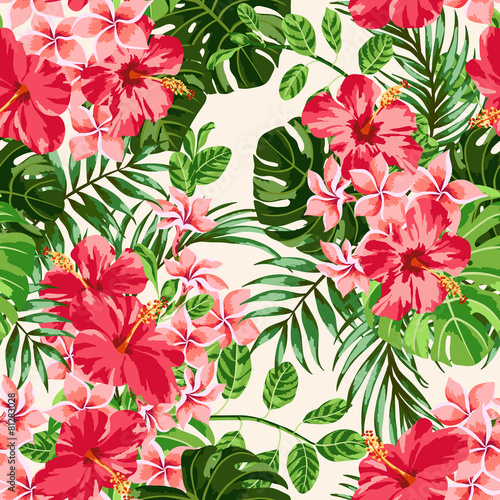 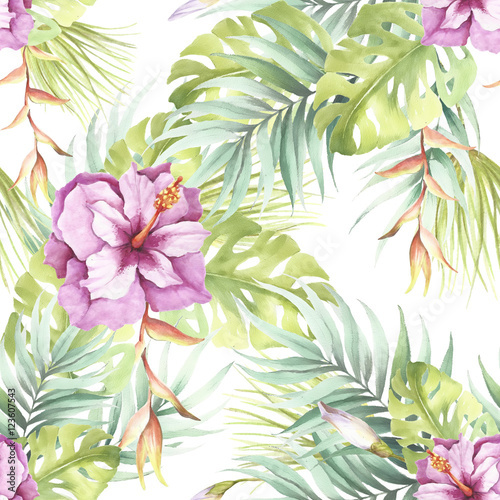 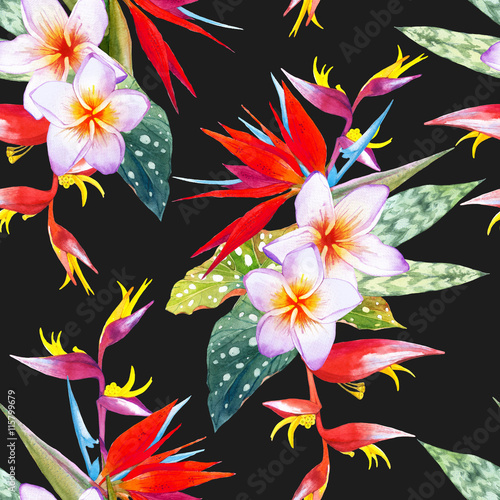 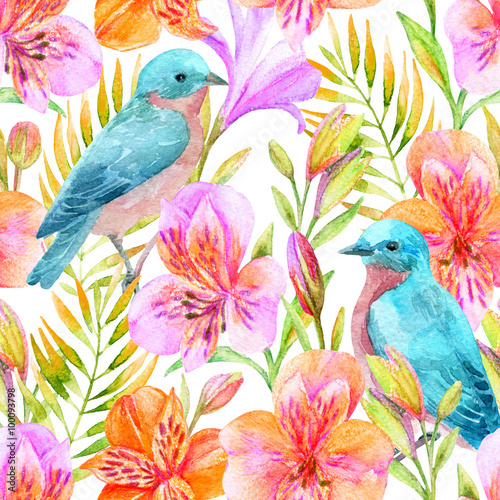 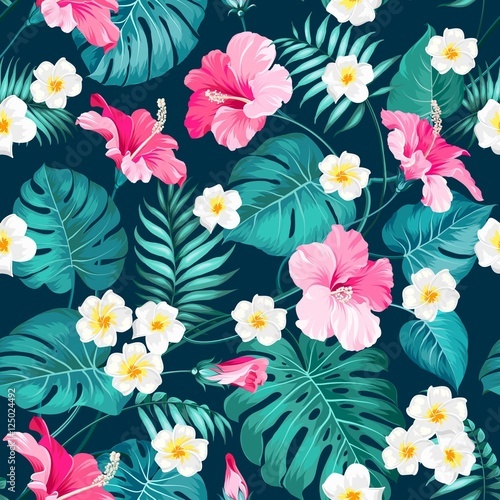 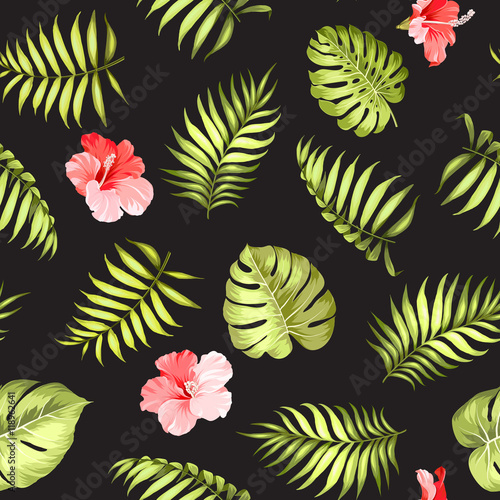 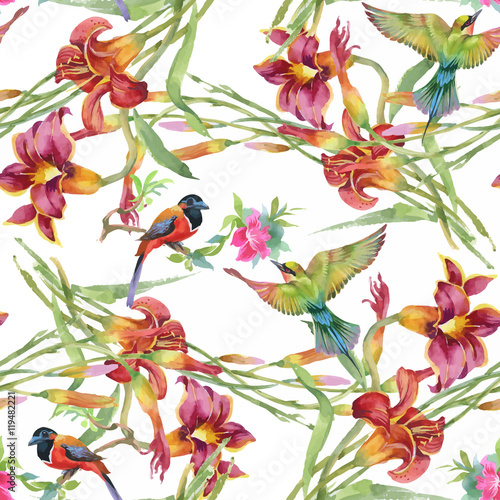 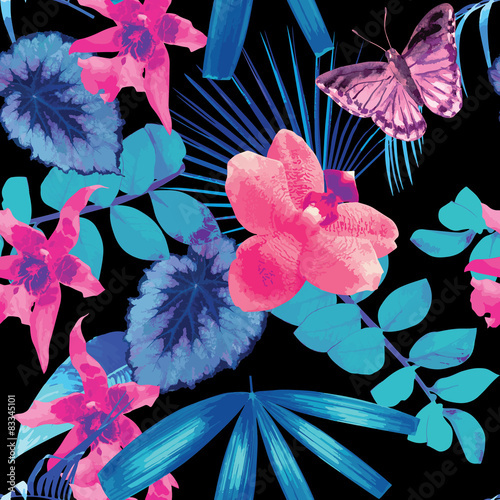 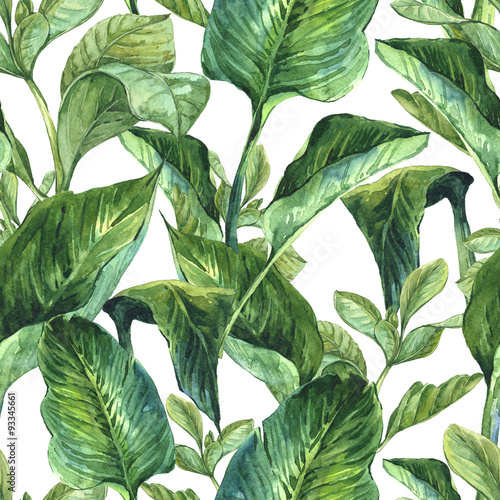 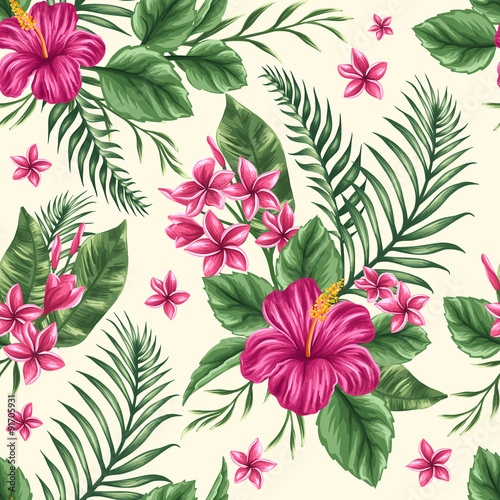 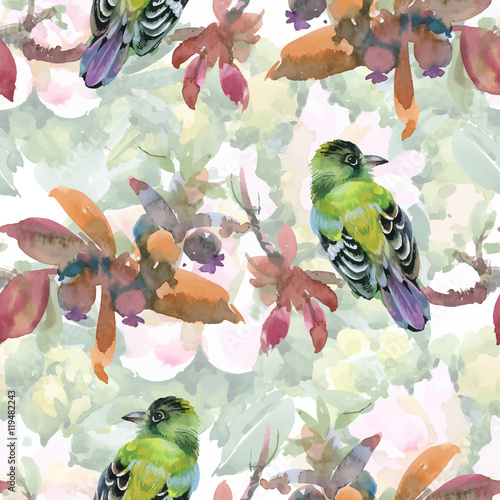 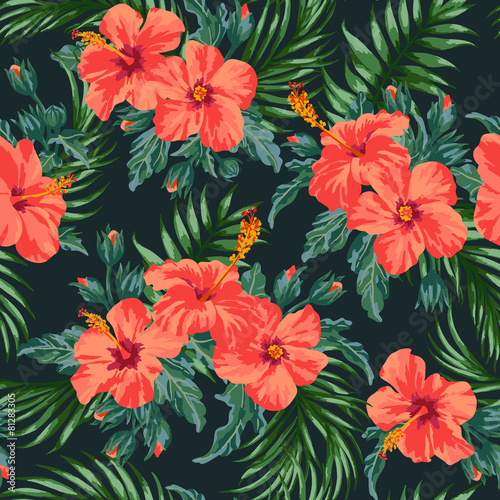 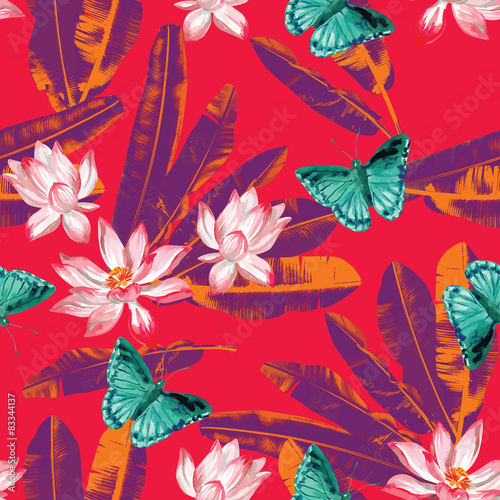 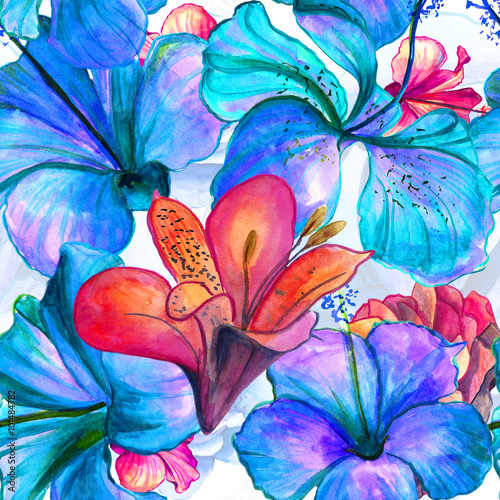 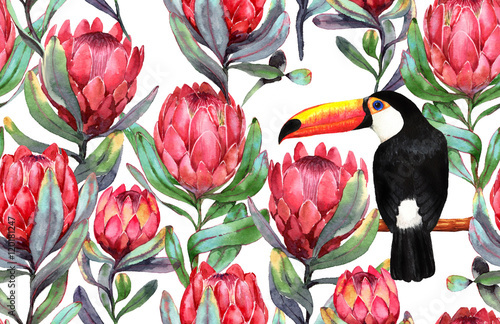 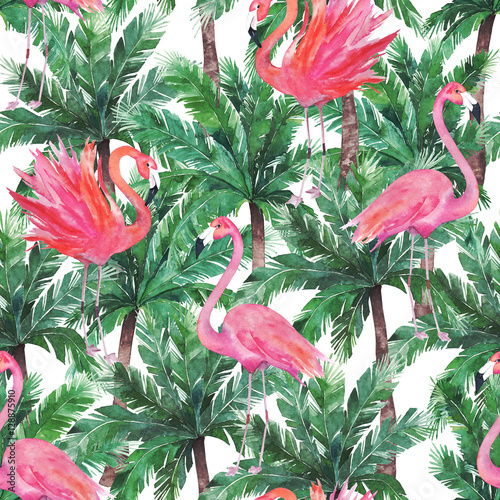 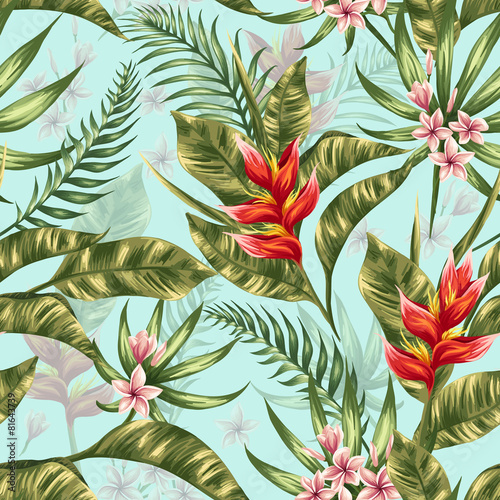 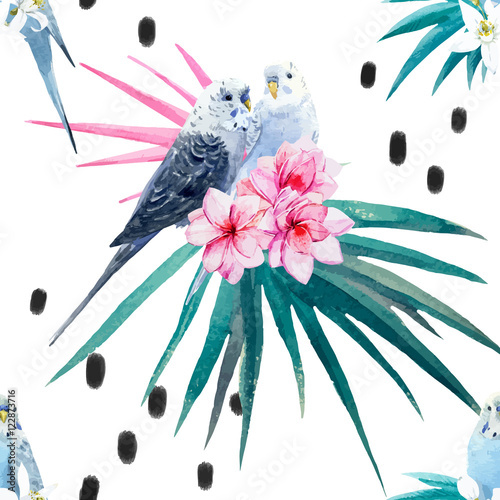 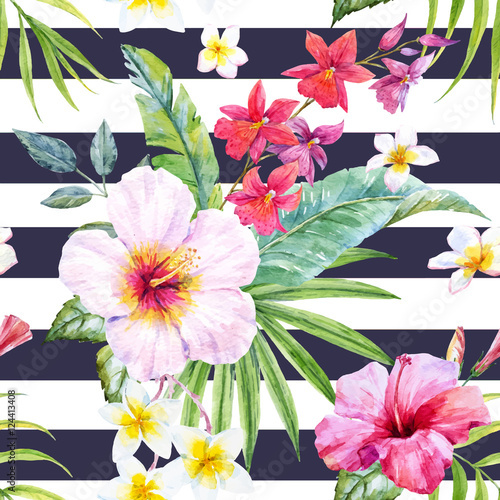 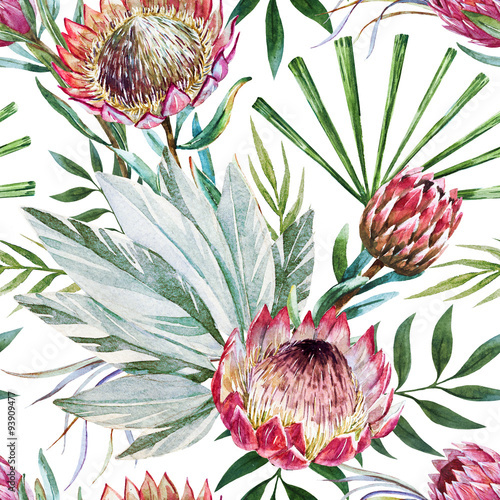 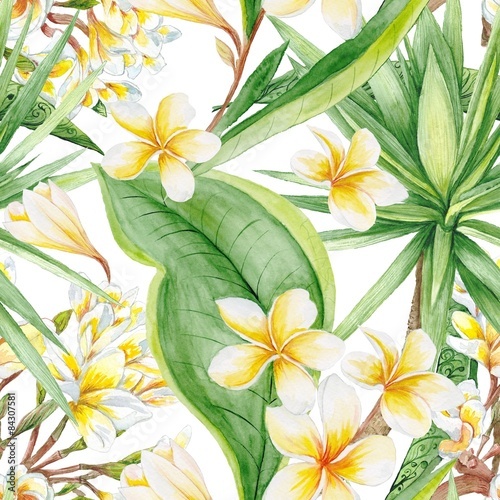 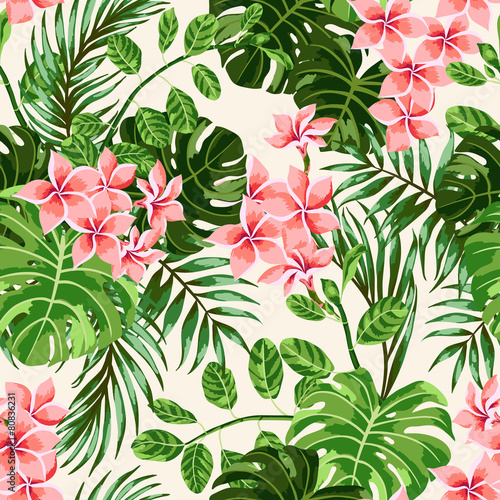 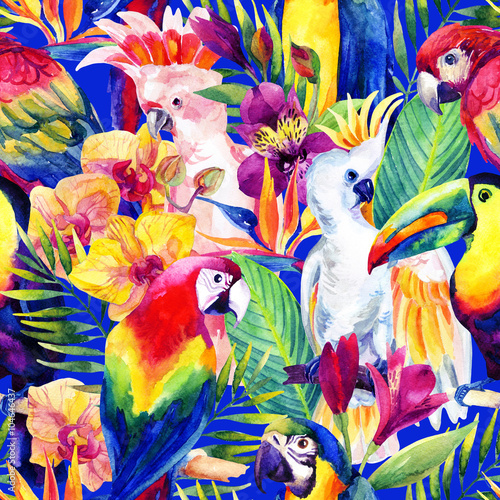 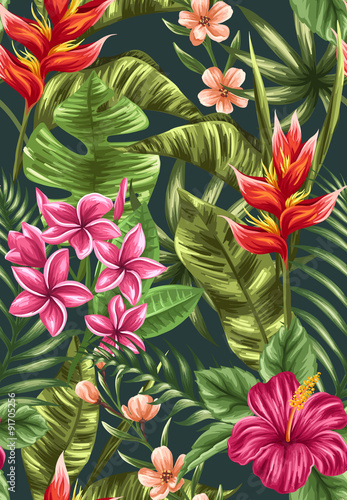 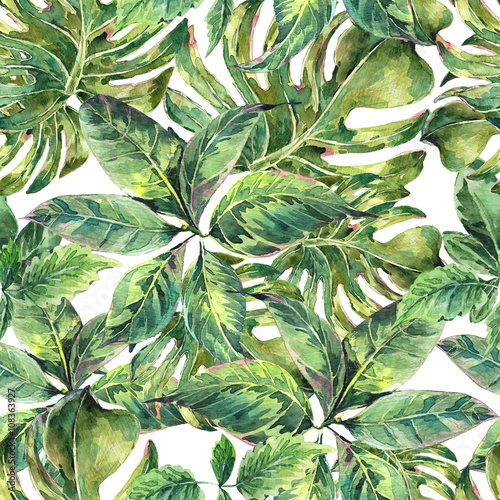 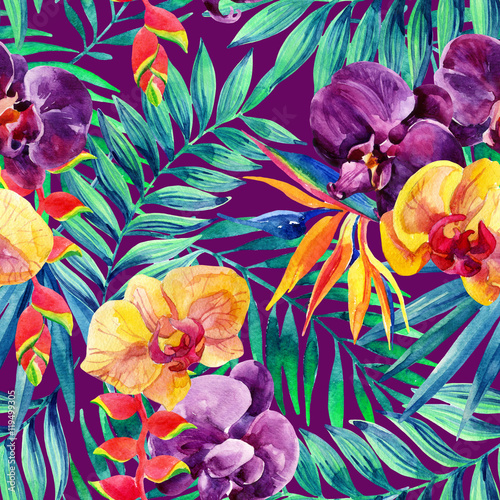 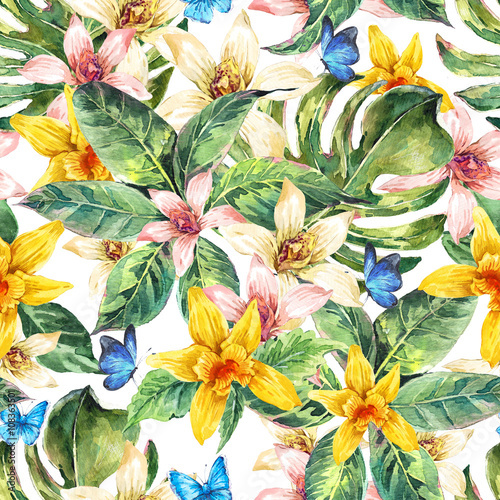 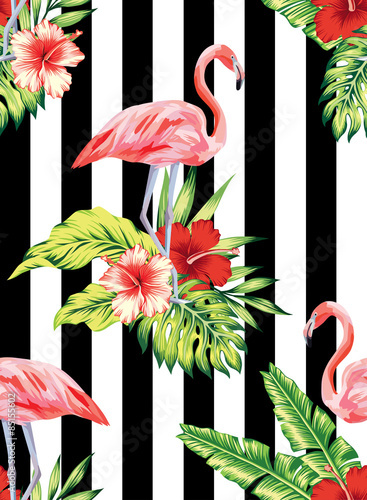 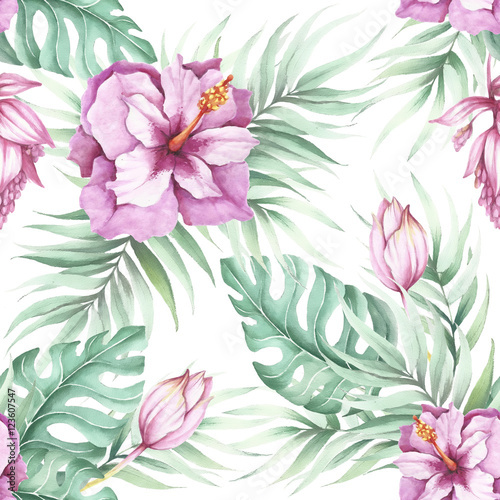 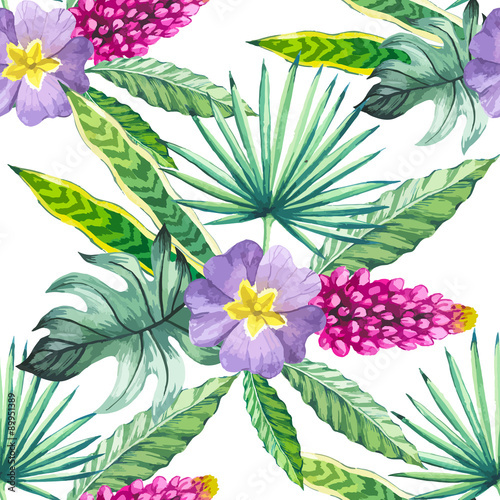 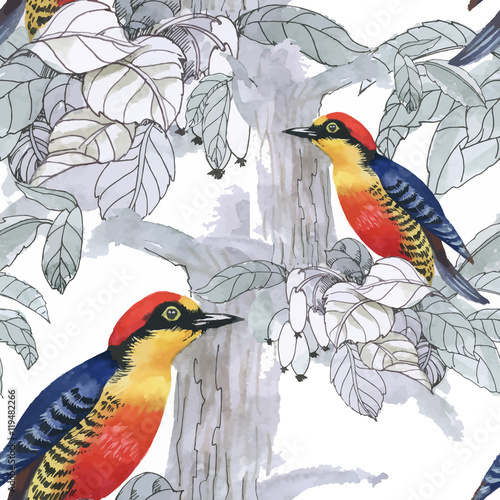 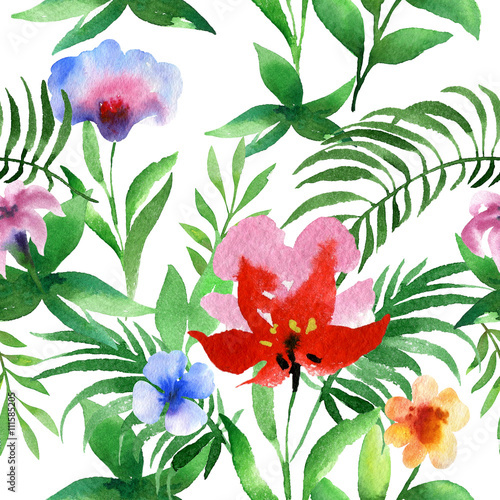 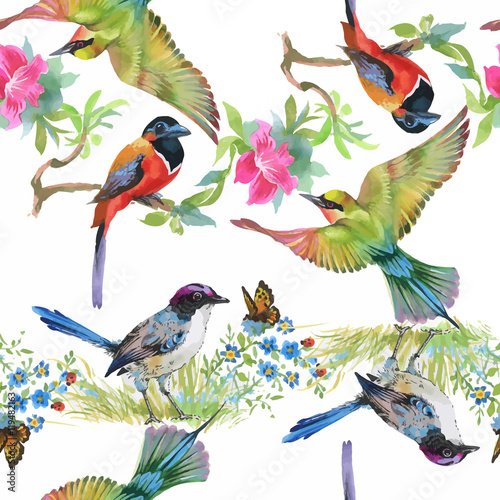 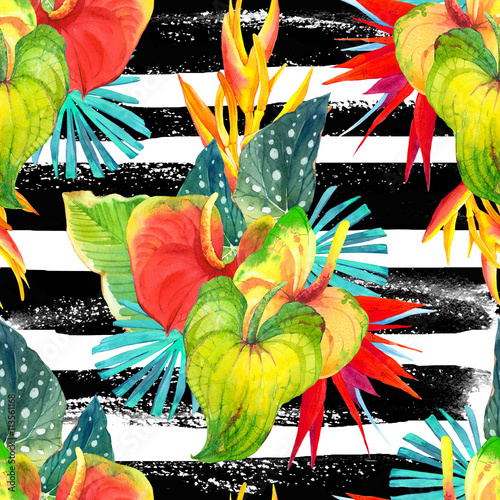 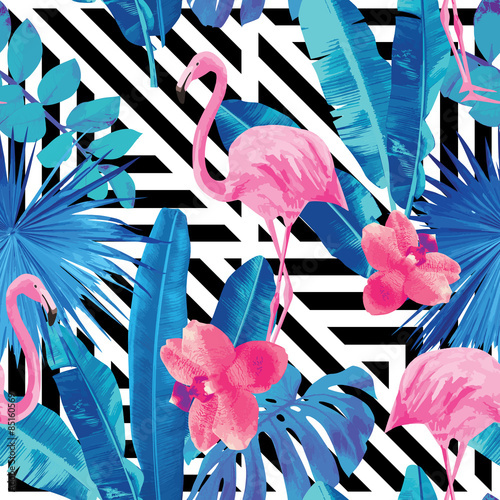 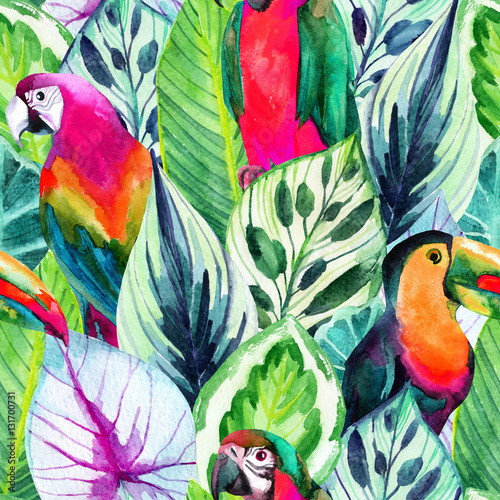 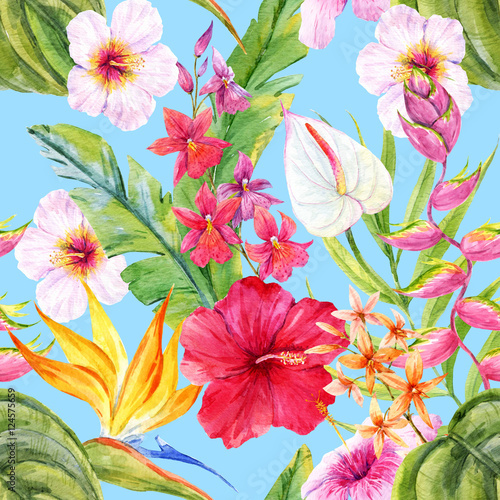 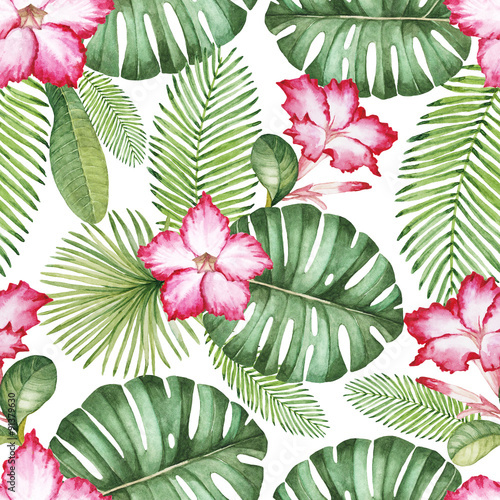 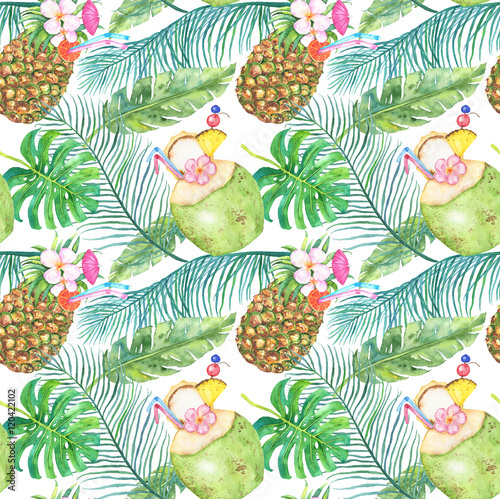 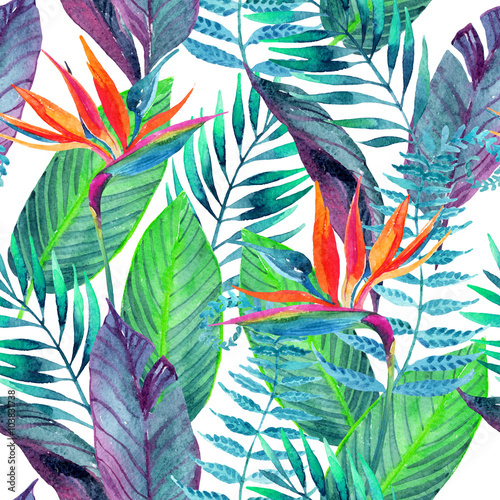 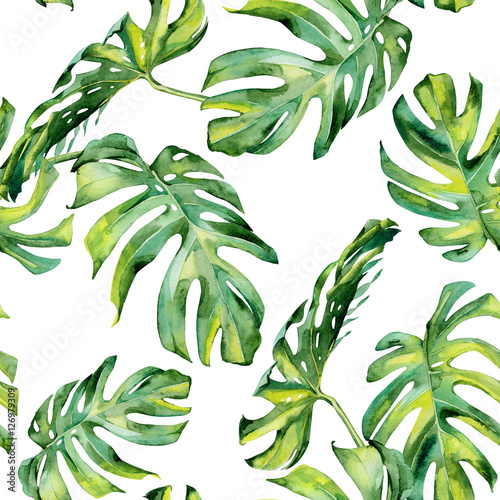 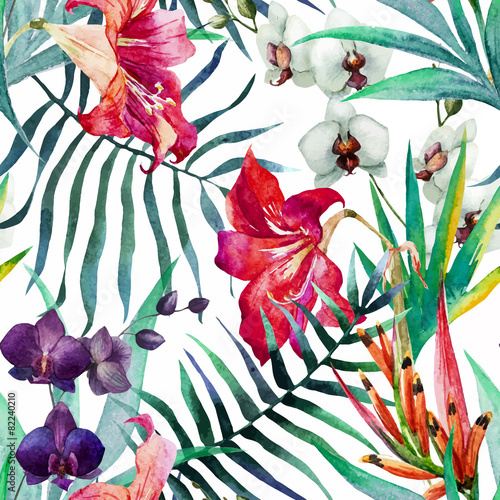 It doesn’t matter what you choose – a colourful jungle print of apparel and home decor accessories made from CottonBee’s sewing fabrics will make you feel as if you were in exotic paradise. 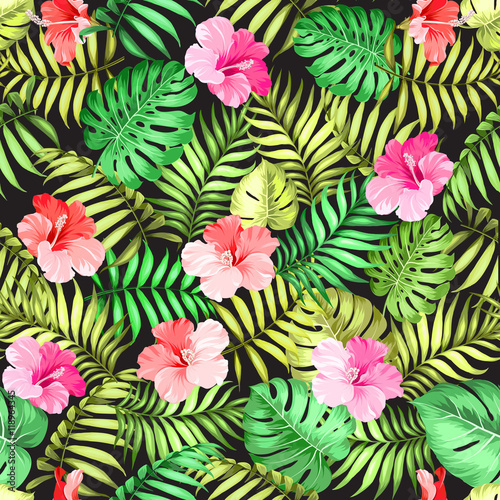 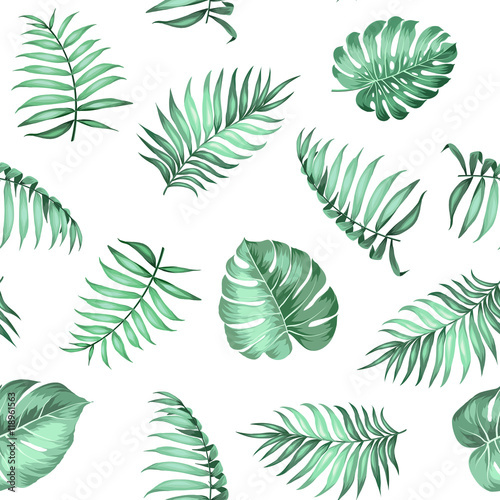 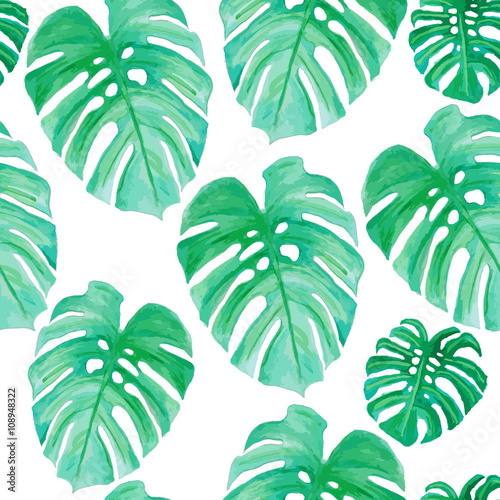 Use the materials to sew colourful cushion covers and curtains, create a unique tablecloth or a floral dress and immerse yourself in the green, lush world of a tropical rainforest. 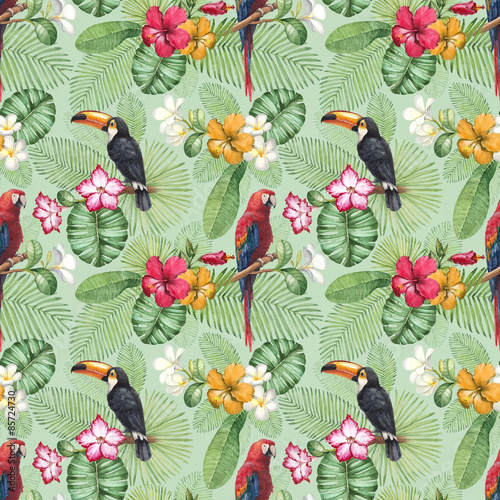 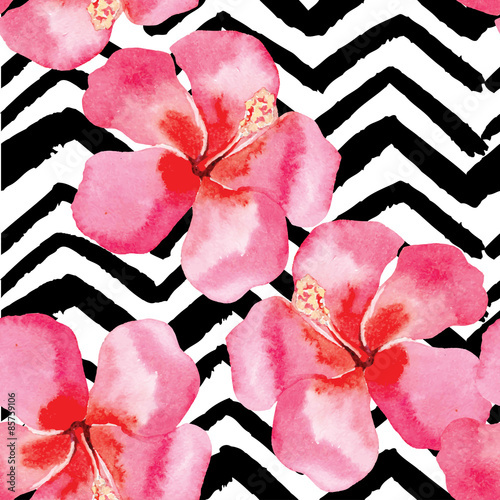 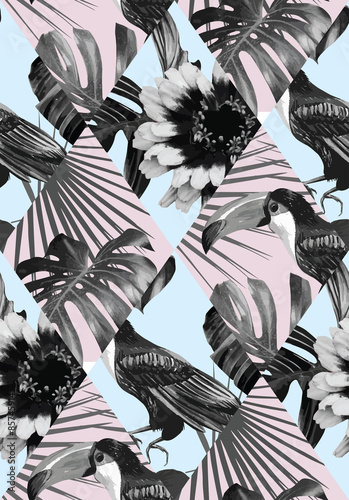 Find your favourite pattern and print it on an OEKO-TEX certified cotton fabric. 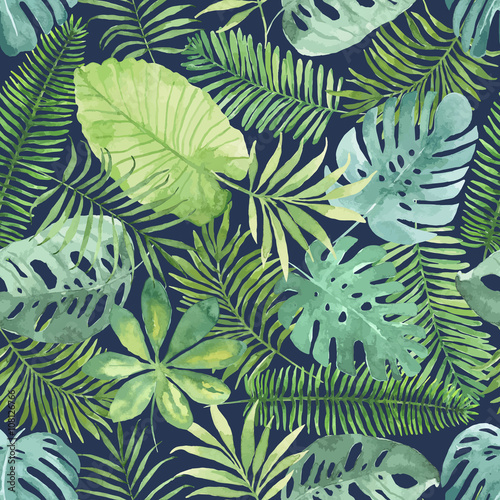 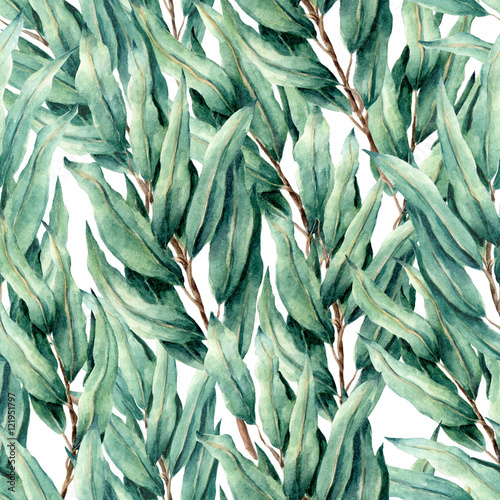 Exotic jungle pattern fabrics are soft and snuggly, which makes them ideal for your baby’s delicate skin. 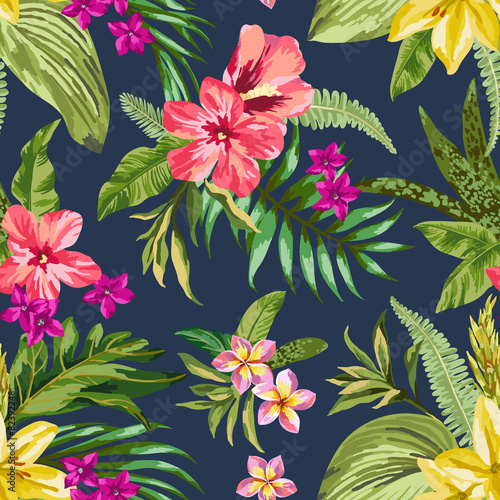 Take advantage of the materials to sew multi-hued shorts or a colourful sun hat for your child – wearing the garments will give them a feeling of being surrounded by exotic wildlife. 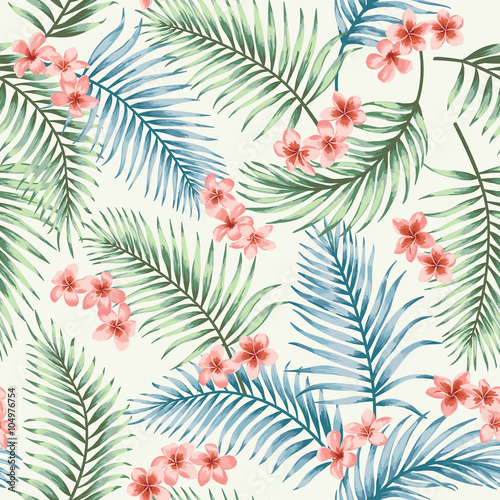 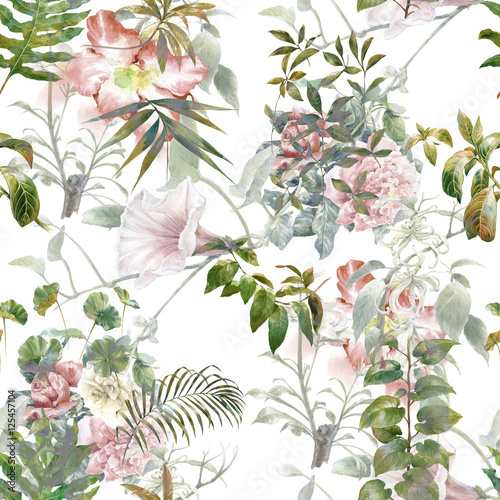 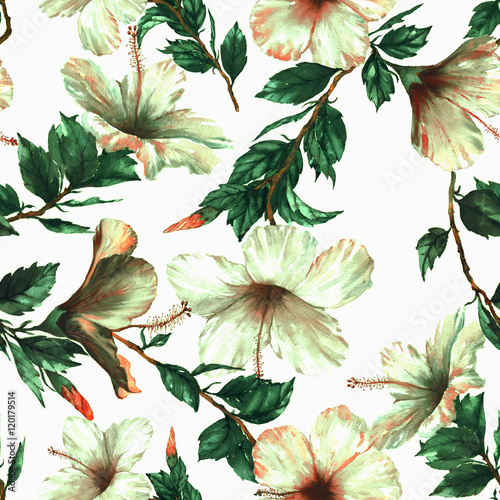 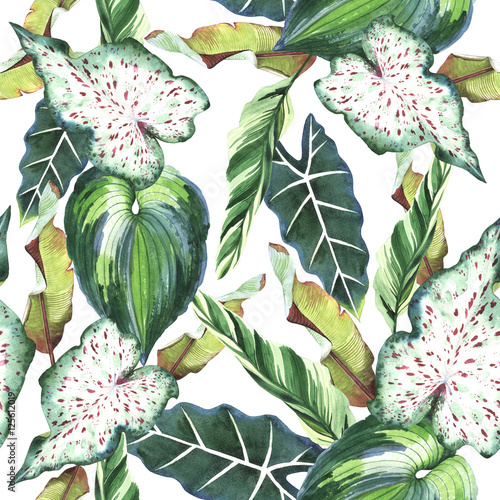 We have prepared for you a few suggestions how you could use our fabrics with exotic jungle design to best effect. 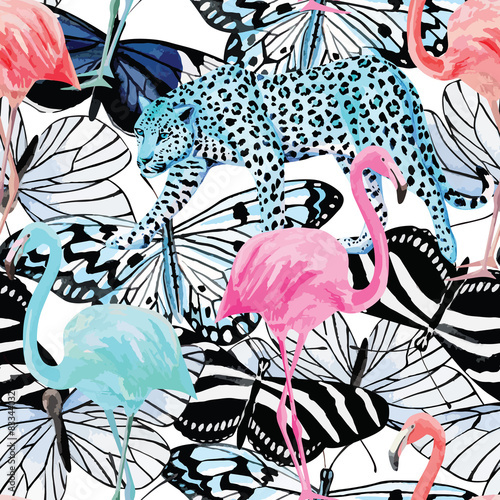 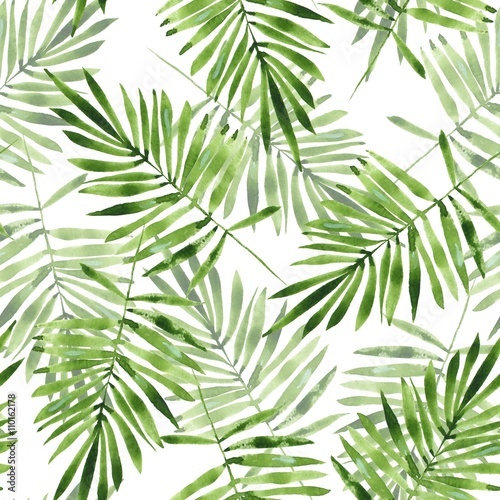 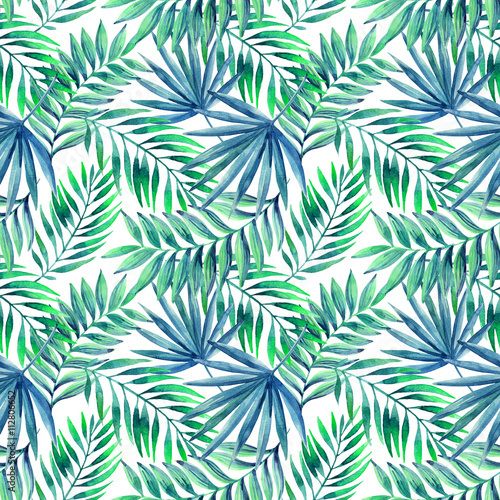 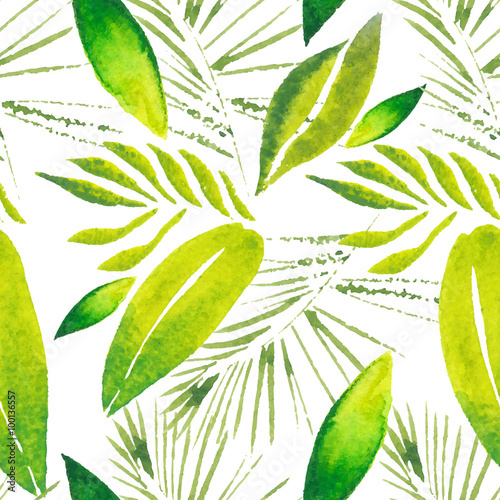 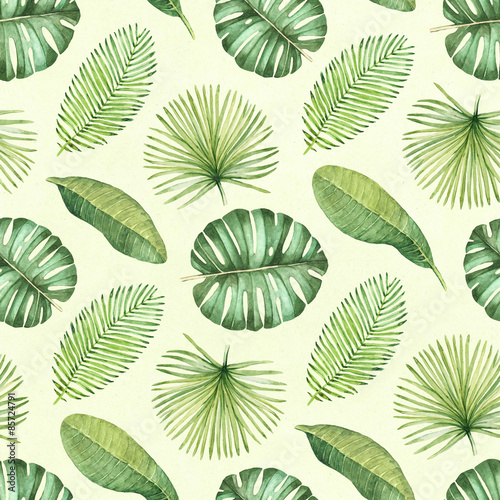 Use our fabric with exotic jungle design to create a unique, summertime atmosphere in your child’s room. 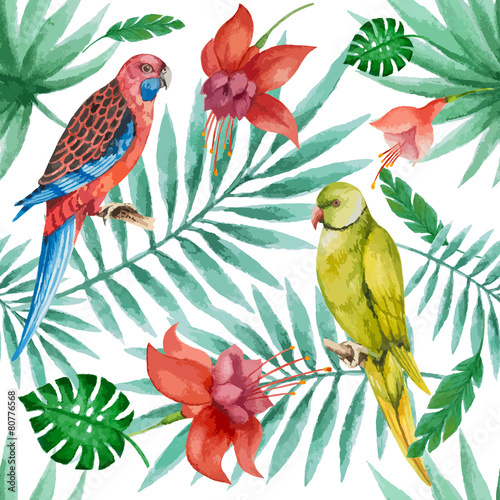 There are a few tried and tested tricks to refresh the appearance of a living space by adding a touch of tropical exoticism to its decor. 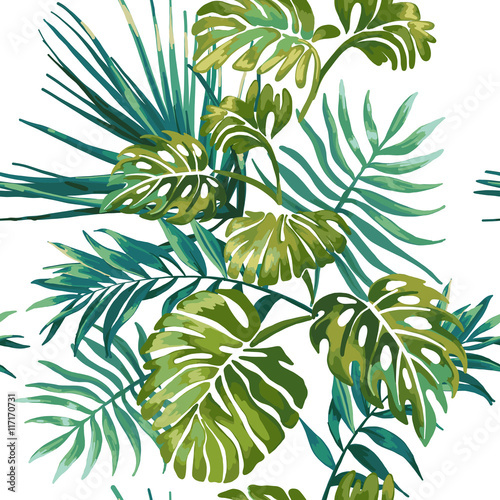 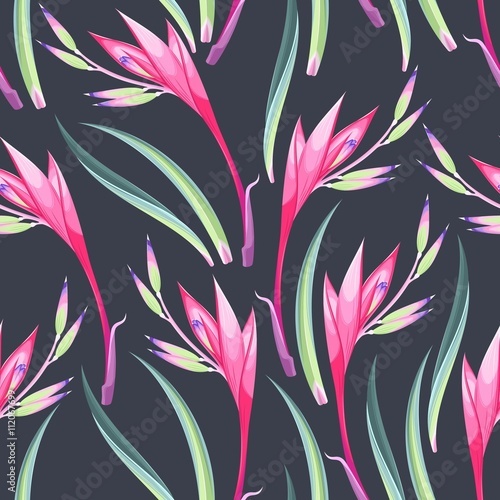 All kinds of exotic jungle patterns will work perfectly well irrespective of whether the room is inhabited by a boy or a girl. 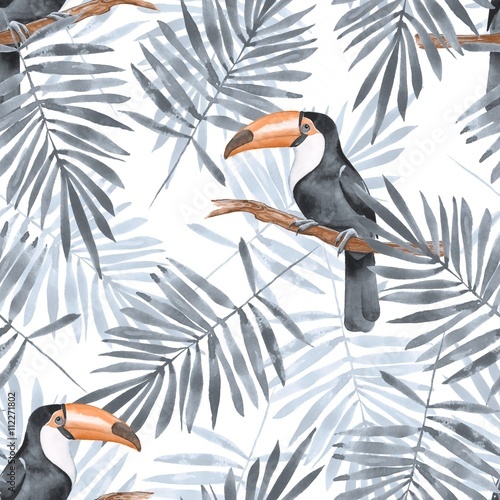 Let’s start with the windows – sew floor-length curtains made from gabardine or linen-like fabric which protect your child from sunlight that might wake them up in the morning. 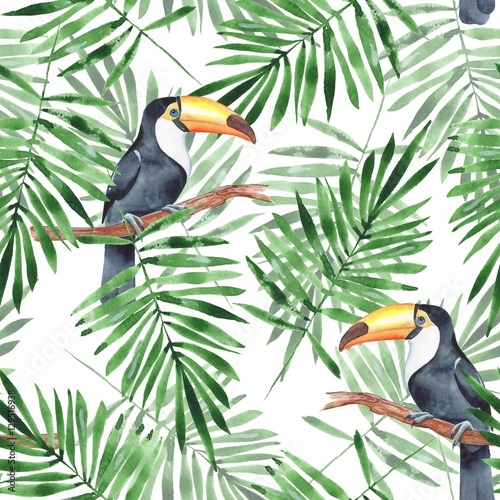 The exotic jungle design embellished with images of toucans, oranges or tropical flowers from faraway countries will delight your child, adding to their overall sense of well-being. 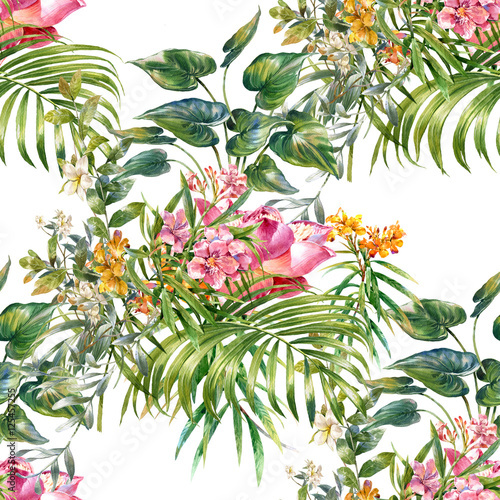 If you consider placing some decorative cushions within the room, you will need a thicker cotton fabric, for instance gabardine. 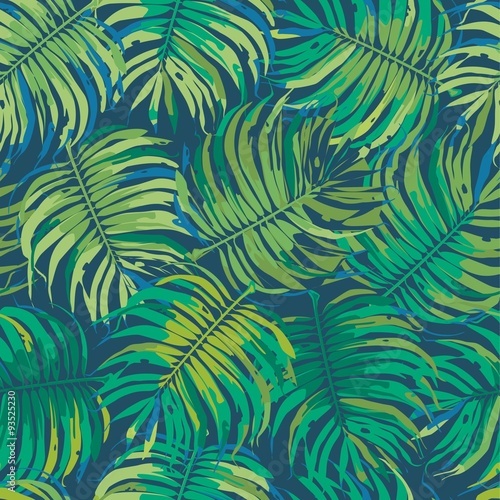 If you want, each of the cushions could have a different exotic jungle print – CottonBee’s products know no limits! 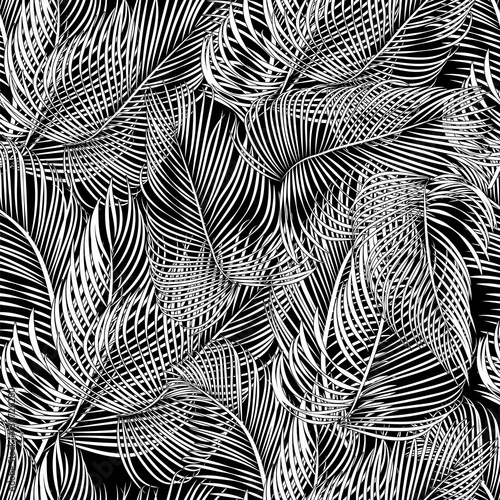 To avoid creating a chaotic appearance of the living space, use personalized cushions of the same size. 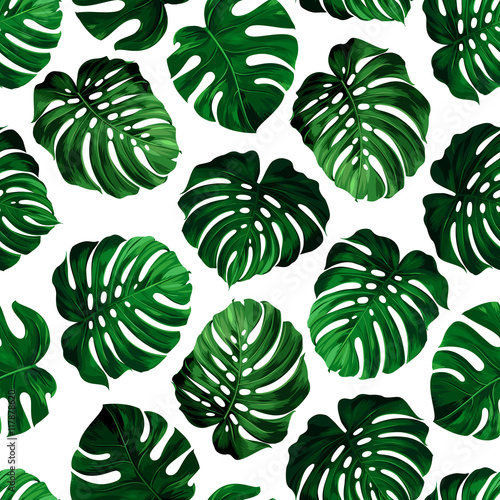 Place them on the sofa or a play area on the floor. 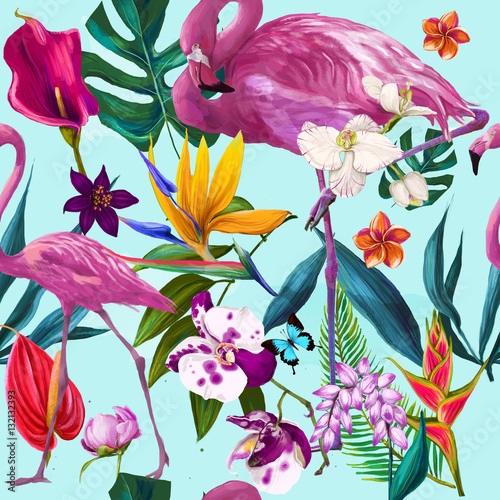 Does your child happen to have too many toys? 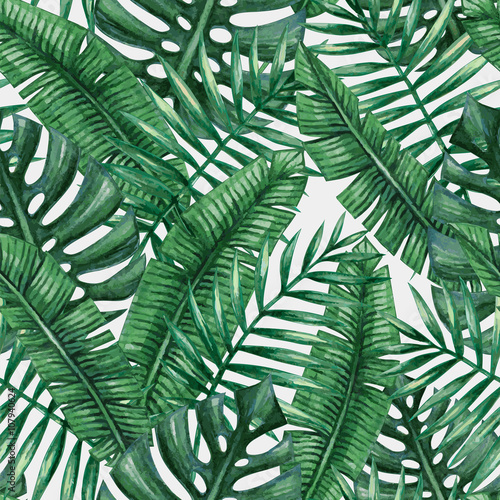 We figure that might be the case. 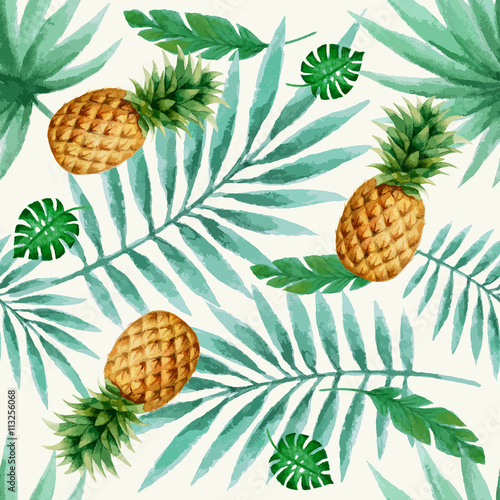 If so, make a stiif toy storage bag and help your child to keep their toys in order! 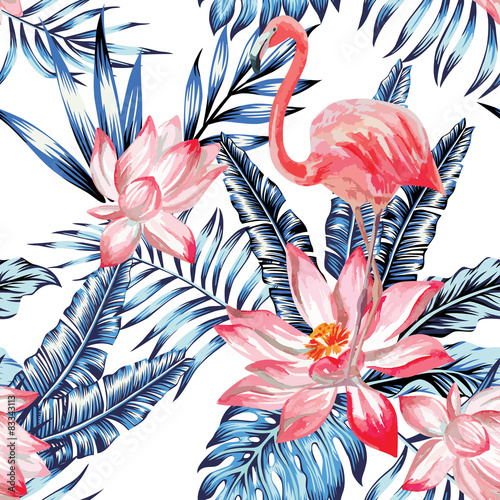 What is more, the bag is not only practical but also decorative. 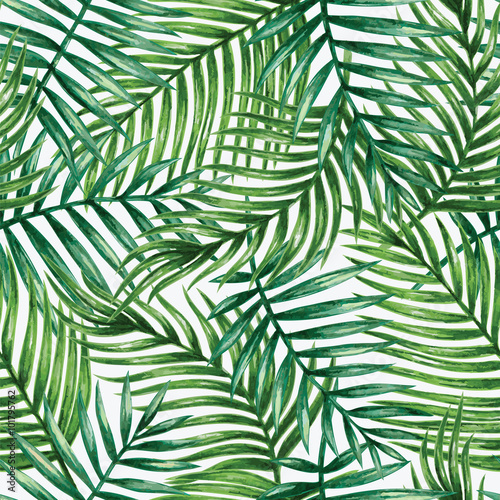 Thanks to our fabrics with exotic jungle pattern a child’s room can be easily turned into a warm, exotic location! 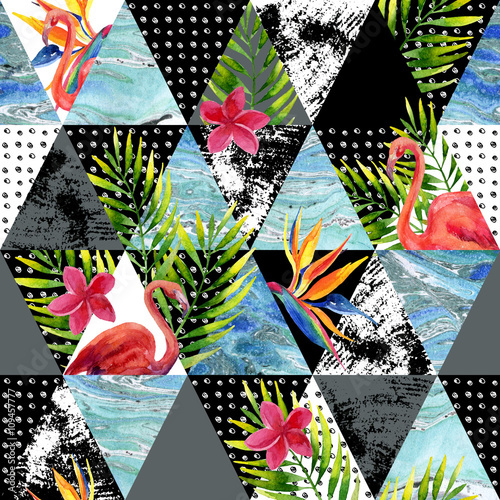 It is not always possible to go on holiday to an exciting, faraway destination. 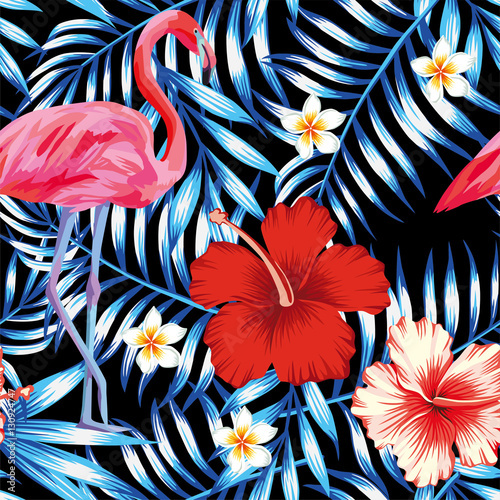 Use our tried and tested solutions to create an exotic atmosphere while spending a summer holiday in your own city! 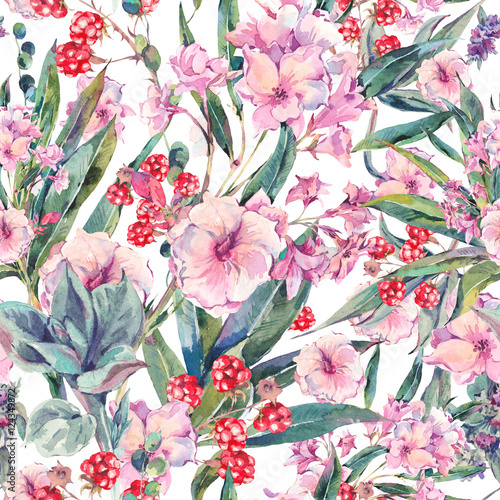 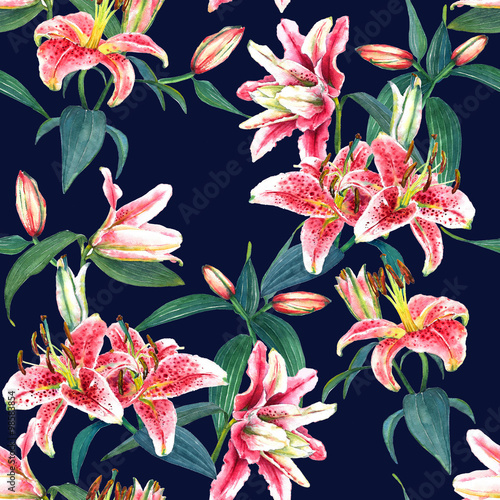 Design your own pattern or choose one from over one million designs included in our catalogue. 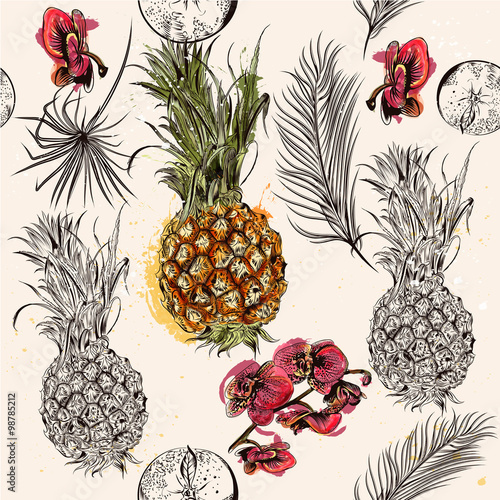 If you are not sure which fabric you should go for, order the CottonBee swatch book for only 1.99 € including the delivery fee to see which sewing material suits your needs best. 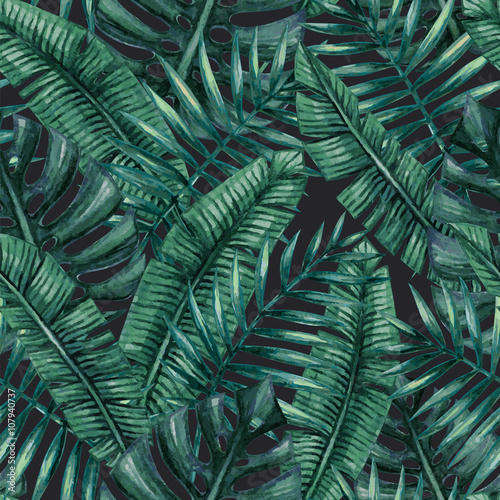 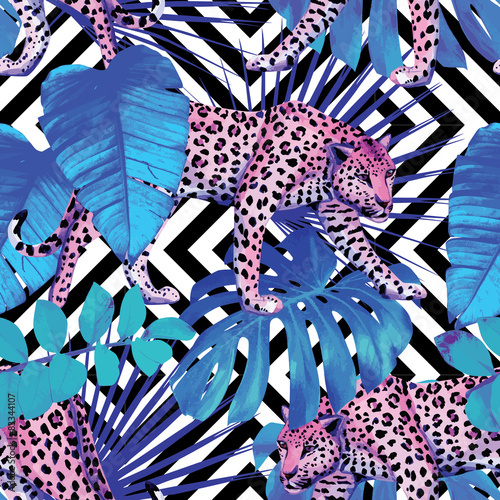 Our exotic jungle print woven and knitted fabrics are exactly what you need for your creative sewing project.